Properties in Mann Leiser Memorial Greenhouses average 4.6 out of 5 stars. Property 1: Hillside Anchorage Home by Hiking & Biking Trails! Property 2: Downtown Suite #2, Free WiFi and Laundry! Property 8: Perfect location with easy access to downtown and all your Alaskan adventures! Property 14: Have an Authentic Log Cabin Alaskan 5 Star experience at "The Eagles Nest"
Property 21: Downtown Anchorage Studio! 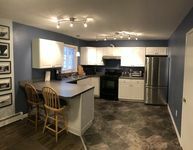 Charming condo w/ a full kitchen & free WiFi right in the heart of Anchorage! Property 31: Charming condo w/ a full kitchen & free WiFi right in the heart of Anchorage! NEW! Anchorage Apartment Near Midtown & Downtown! Property 36: NEW! Anchorage Apartment Near Midtown & Downtown! NEW! 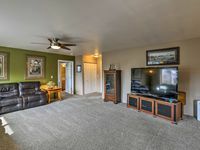 Apartment w/Fire Pit - 2 Mi. to DT Anchorage! Property 40: NEW! Apartment w/Fire Pit - 2 Mi. to DT Anchorage! Comfy Studio, Great For You! Property 44: Comfy Studio, Great For You! Beautiful one bedroom, Fully Furnished With Private Entrance.Ground floor . Property 47: Beautiful one bedroom, Fully Furnished With Private Entrance.Ground floor . Cozy downtown retreat in tastefully updated 1950's log home - Clean & Quiet! Property 49: Cozy downtown retreat in tastefully updated 1950's log home - Clean & Quiet! We were very pleased with our stay here. The apartment looks exactly as it is featured in pictures. It is very spacious for four adults. It was so convenient to have so many spices and ingredients. We made a lot of yummy dinners. I really hope we get to stay here again when we visit Anchorage. Thank you, TJ, for an enjoyable stay!